It’s just that old thing of you write what you want to read. I’ve been lost in horror since I was twelve or so, terrifying myself with it each time, each book, each story, but then I finally started to get suspicious I was just standing at the fence, looking through at the playground. So I decided to play. As for where and when I got bit by that horror bug, though, it’s when I was about six, I think, sleeping on my grandmother’s couch out in the country. My aunt and uncle, who were living in an old trailer on the property, came knocking on the front door deep into the morning. I opened it and there they were wrapped in one blanket, asking if they could sleep on the floor, because they’d just seen this movie Halloween at the drive-in, and couldn’t sleep at their place. I stepped aside, let them in, but then looked behind them, too. And I guess I never really looked away. 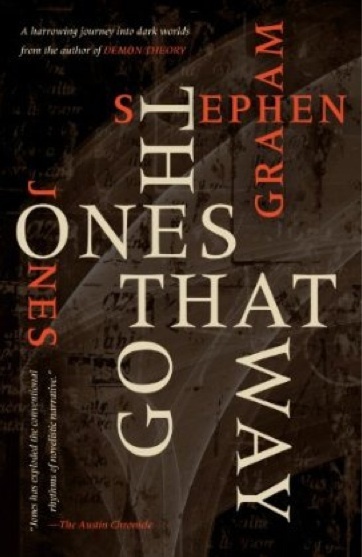 The Ones that Got Away‘s up for a Stoker and a Shirley Jackson Award now, so . . . maybe it? 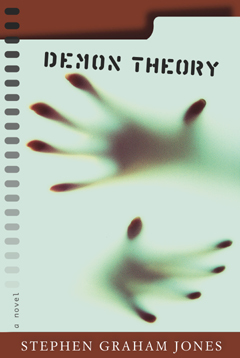 Though people in horror’ll know me for Demon Theory as well, a lot of the time. 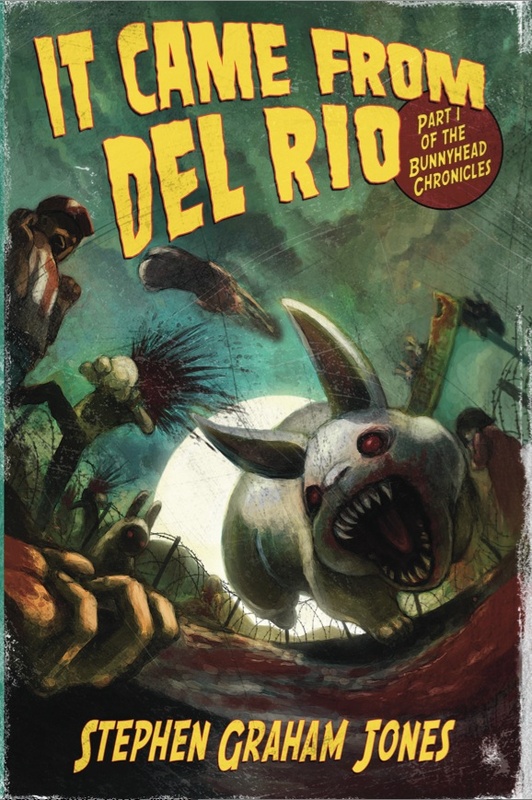 The sequel to It Came from Del Rio. Once Upon A Time in Texas. It’s completely over-the-top. I’m trying to live up to the excellent, excellent cover Del Rio had, but keep the same kind of beating heart, too. Can’t wait to get it out there. Started it — this is May 23rd — May 5th, and am hovering around a hundred and seventy pages now, I guess. Would have more down, but, living in Colorado, there’s always people showing up on your doorstep. And also I accidentally wrote what I think’s the scariest story I’ve ever done over the weekend — fifty pages of it, too — which sucked some time from Once Upon A Time in Texas. And I guess I’ve been doing some script-stuff and pitch-stuff, too. So much better to have too much to do, though. Wouldn’t have it any other way. Joe R. Lansdale. 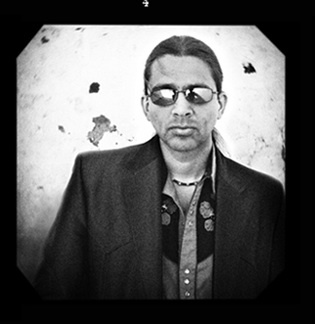 Because he can write, sure, and because he can write fast, but more than that, it’s that he can write across genres. I respect that so much. And King, of course. Especially the Bag of Bones/Lisey’s Story vein of novels. And, yeah, Straub and Barker and McCammon and Ketchum. However, Laird Barron, there’s somebody I admire, but, at the same time, the strength of his prose just intimidates me, makes me very aware of the many failings in my own. I don’t want to start a list, though, so I’ll stop here. Just depends on the story and what that story needs. I think I probably lean towards the atmospheric, I guess, but not the slowdown fiction of Henry James’s ghost stories or anything. I mean, those work, sure, but no way can I even pretend to have that kind of patience. I also need scary things jack-in-the-boxing out of the closet every few steps, and some blood on the walls, kind of sliding down to the carpet in clumps. Hard question. I guess because it’s sincere? Those are the writers I prefer to read, anyway — those who believe these twisted, fantastic lies they’re telling. And that’s the only way I know to write. I mean, I was more than likely terrified writing the piece, so hopefully some of that’s trapped on the page. Robert Marasco’s Burnt Offerings. I think it’s the most beautifully-written haunted house novel we’ve got so far. The sentences in it are just absolutely bulletproof, and each time, they’re doing exactly what Marasco wants, it seems: disappearing elegantly, so the story can creep through our critical barriers, hide in our heads until it’s time to turn the lights off at night. And, for a broader but related recommend in horror: just any haunted house novel. Of the whole genre, I think the haunted house is by far the scariest. The Haunting of Hill House, The Shining, Siddons’ The House Next Door, John Langan’s House of Windows — Bentley Little’s The House completely altered my sleep patterns, as did Douglas Clegg’s Breeder, and Brett Easton Ellis’s Lunar Park. I still wake up scared from that one. Well, okay, I say the haunted house is the scariest on the page, but the horror novel that’s lodged deepest in my mind, that’s The Girl Next Door. I’ve read it at least nine times, I guess. But haunted houses — they play well on the page mostly because, on-screen, the effect is completely different. The whole dynamic holding the scare together is completely vulnerable to Eddie Murphy’s kind of common-sense solution: leave the house, you stupid people. In fiction, though, you’re with Jack Torrance tightly enough that you understand that leaving’s not an option, here. You’re Shirley Jackson’s Eleanor, both absolutely certain that something’s wrong here, but you’re fascinated with it as well, unable to look away, always sure you can step away whenever you want. Wrong. However, after saying all this? The scariest short story I can think of is always Gene Wolf’s “A Fish Story.” But it’s got the same thing happening in its three or four pages that’s going on in Lunar Park, maybe the same thing mapped out in The Dark Half or Solaris or even VALIS — the quiet little suggestion that we don’t know reality as well as we think we do. That’s what gets me every time. And I think that’s what I try to write.